Xiaomi launched Redmi Note 2 (also termed as Redmi Note 2 Prime) with many added features and more optimized handset as successor of Redmi Note. This handset is configured with 5.5 inches display, 13 MP rear & 5 MP front camera, 2 GB RAM & 32 GB ROM, Mediatek 2.2 GHz Cortex-A53 Octa-core processor, 3060 mAh battery. The handset has quite attractive design and somehow resembled I-Phone 5S, body is made of soft touch plastic rear with a matte finish makes it fit in grip, as we go to input output system in right side the Volume Rockers are located above the power button, headphone jack on top and USB port on bottom, Rear capacitive keys has red coloured backlit useful in dark. 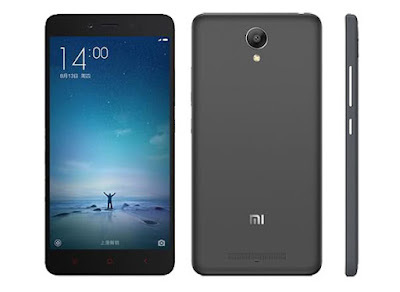 Predecessor of this handset Redmi Note was 192 grams in weight while Redmi Note 2 drops down to 160 grams. The 5.5 inches IPS LCD capacitive touchscreen has Full HD display (1080p) resolutions with 401 ppi display density makes it sharp, vivid and crystal clear. Display offers good sharpness which makes its good sunlight visibility. The touch offers good responsive time and wide viewing angles. Mediatek MT6795 Helio X10 Octa-core processor with 2 GB RAM gives the Smartphone a smooth interface, phone runs smooth till you don’t make it filled with lots of heavy applications. This handset comes up with MIUI 6 based on Lollipop 5.0.2 and will get MIUI 7 Soon. 13 MP camera takes quite good pictures with fast auto focus in sufficient light but when it comes to low light conditions the camera is struggling to take clear pictures. But when we captures photos from front camera its obviously not disappointing at all. 3060 mAh battery as on papers seems huge but its performance is not up to our expectations but it can deliver at least one full day battery backup. The charging time is quite lesser. Speaker is loud and delivers good sound. Superb design with sturdy Hardware. Full HD Display (1080 x 1920 pixels). 4G LTE connectivity in both SIM slots. Dual SIM support, External SD card have a dedicated slot. 32 GB Internal + 32 GB External Memory. Available space out of the box is 12 GB for 16 GB variant. Battery is draining fast in MIUI 6. Heating issue is still associated with this handset while it is up to acceptable level. Lags in high end Games like Asphalt 8. No special protection glass for display like Gorilla Glass or Dragontail glass. Out of box it has MIUI 6; you need to upgrade it to MIUI 7. MIUI 6 has problems like battery draining, heating, Chinese language etc. This handset can be tagged as VALUE FOR MONEY Because of features which are given to its customer in such a competitive price. As we analysed that the biggest problem with this handset is its battery draining which can be resolve up to great extent just by updating MIUI 6 to MIUI 7. Otherwise it is smooth performing, well built and quite impressive Smartphone.